Just click the links to see more images, information and to book these rural houses, apartments and bed and breakfast in the area around El Chorro, the Caminito del Rey and Guadalhorce lakes. The Camino Del Rey website receives a small commission when you book through these links and that helps us to keep up our great work to help you get the best out of your visit. Just 10 km from Lake Guadalteba-Guadalhorce, these family-run rural apartments and villas feature air conditioning, flat-screen TVs and well-equipped kitchens. Finca Rocabella is a truly unique place. Nestled within the green slopes of the “Sierra Huma” mountain range. A stunning example of Rural Tourism at it’s best. Family owned and developed with respect for the surrounding countryside, the expansive Finca consists of seven beautiful self-catering rustic villas and one self catering apartment. 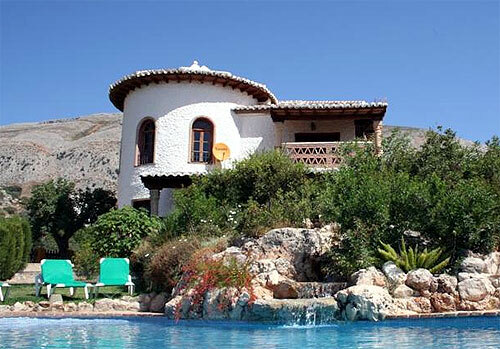 Offering an outdoor pool, Casita la Herilla is located in El Chorro. This lovely house is a recently builtin a rustic style but with modern amenities. 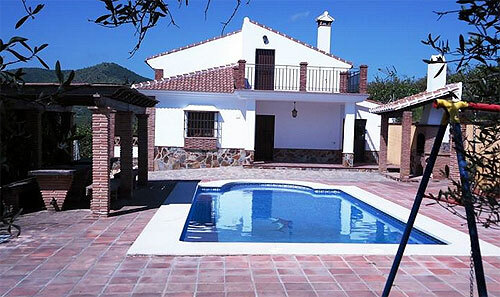 it has a swimming pool and is surrounded by open countryside and mountains. Fully equipped lounge with plasma TV. Kitchen has all utensils, microwave, induction cooker, refrigerator, washing machine etc, air conditioning and central heating with two bedrooms. A large bedroom with double bed 1.35 m and a double bedroom with two single beds of 105 cm. There is a wood burning stove, large terrace with swimming pool and garden. This company offers a variety of rural properties, some with swimming pool, The accommodations are fully equipped as you would expect with kitchen,microwave and a refrigerator. Get in touch and ask about the various options on offer. 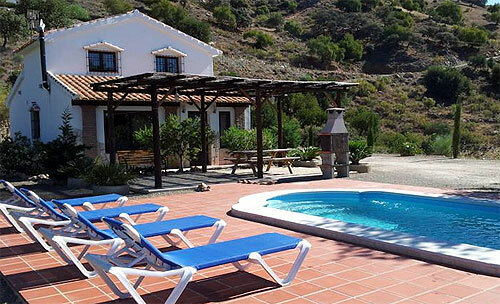 Villa Naranjo is a three bedroom house and can accommodate up to eight persons. 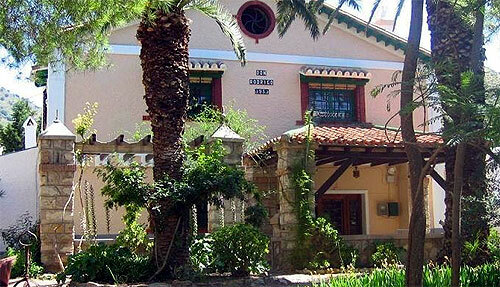 The villa is located 8 km from the centre of Álora and surrounded by olive and fruit trees. There is an outdoor swimming pool with shower, pool house with fridge and hot plates, tennis, table tennis, boules, garden furniture and a barbecue. In the house there is a sauna, massage a washing machine and bicycles available for guests. 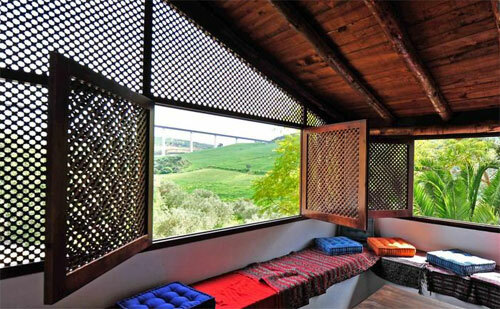 The villa was fully renovated in 2008 and has stylish and romantic furnishings. There is an open fireplace and satellite-TV in the living room. The kitchen is equipped with an oven, dishwasher and a freezer. A washing machine. central heating and air conditioning throughout and the situation of the house provides beautiful views of the mountains scenery. Located in the heart of Malaga on the banks of the river Guadalhorce between orange and lemon groves,Casa Rural Tita Ines is very close to the enclave known as Desfiladero de los Gaitanes and the famous Caminito del Rey and the three reservoirs which give the area a variety of beautiful places to enjoy nature. Also the house is very close from Ardales Caves known for their neolithic paintings. there are three houses available that can accomodate up from 2 to 16 people. 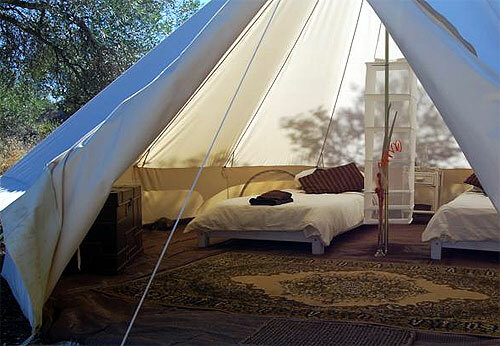 Glamping in a Luxury Tent or B&B. The campground is small and exclusive with 4 luxurious tents, each sited in it’s own private area so you can enjoy privacy from other guests. Each tent is equipped with proper beds (twin singles or doubles can be provided) with comfortable bedding, rugs, blankets and eco friendly solar lighting. The views from your tent extend across the Alora valley and nearby National Park. Some would call it glamping – we like to think of it as luxury camping… but if your not one for camping we have two comfortable bedrooms in our traditional Spanish Finca. 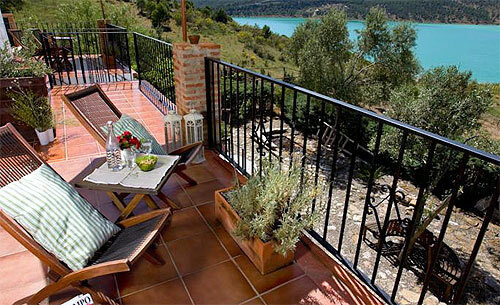 et overlooking Guadalhorce Lake, El Arpa offers a peaceful country location, 45 minutes’ drive from Málaga. Bright, modern apartments come with free Wi-Fi and private, furnished terraces. Offering views of the lake, the apartments include a living-dining area and a kitchen equipped with a fridge and gas hob. Fans are available on request.There are bikes at the property which guests can use for free to explore the surrounding countryside. The Desplomilandia climbing area is 200 metres from El Arpa and there are several other climbing areas nearby. Guests can also go canoeing in the lake or visit the typical Andalusian white villages in the area. Tourist information can be provided.Málaga Airport can be reached in 50 minutes’ drive. Free private parking is offered on site.